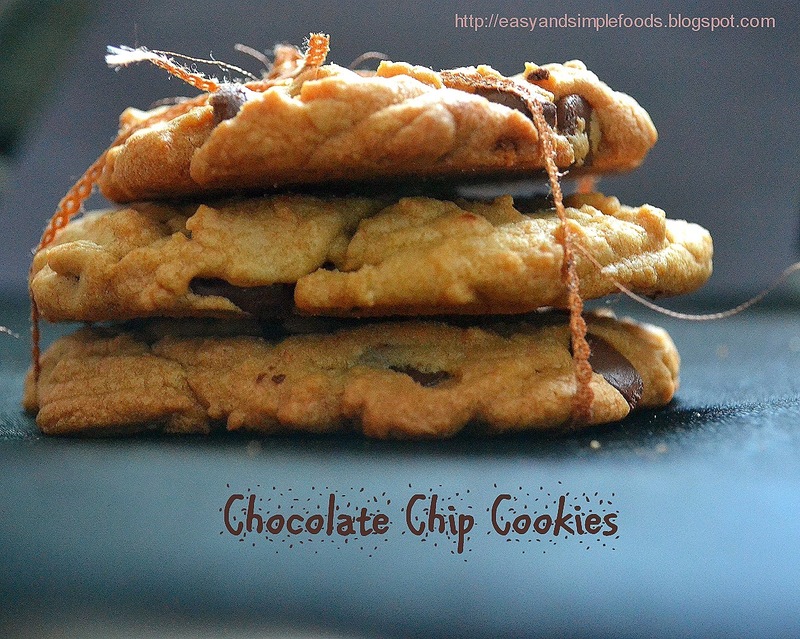 Chocolate Chip Cookie Recipe - A guest post by Tanya ~ Full Scoops - A food blog with easy,simple & tasty recipes! Today I am delighted to have Tanya from Easy and Simple Foods do a guest post for me! Tanya is a wonderful person I have come across. Blogging has given me some wonderful friends and Tanya is one among them. Her blog is an awesome blog with unique recipes. I love all her posts and you must visit her blog for more! I am so glad she agreed to do a guest post for me. How can my blog be without a guest post from a good friend! This is a wonderful recipe! 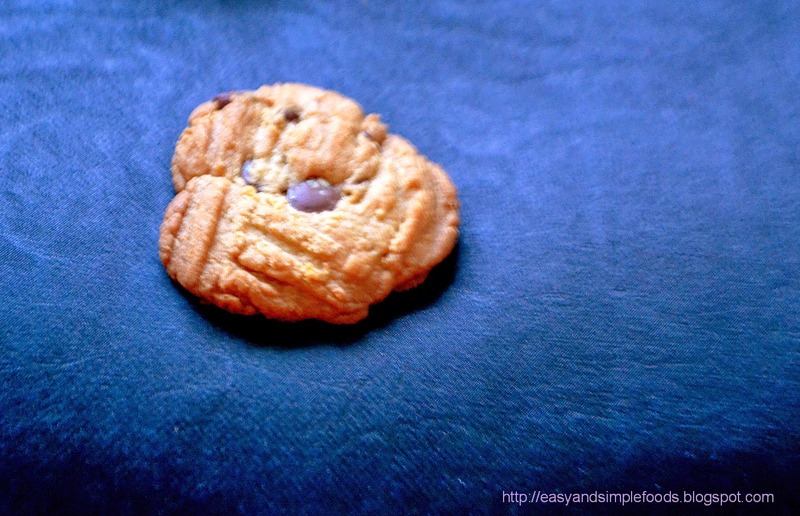 I love chocolates and this chocolate chip cookie is one of my favorite! But I have not had the time to post a cookie recipe yet and I am glad she came up with this post. Thank you so much for writing for me dear! Do hop over to Easy and Simple Foods for more such wonderful recipes. This is my First guest post to my dear buddy blogger Beulah for her Blog Full Scoops. 1. In a bowl, mix flour, salt, baking soda and keep aside. 2. In a large bowl, mix butter, Sugar and beat well. 3. Then Add, egg and vanilla extract, beat until it is soft. 6. In the mean time, preheat the oven to 375F and in a cookie tray, arrange the parchment sheet. 7. Take a table spoon of batter and shape it to circle cookies using a spoon and butter knife. Press with a fork on top and make some stripes. 8. Bake it for 7-8 minutes, then completely cool it on cooling rack. 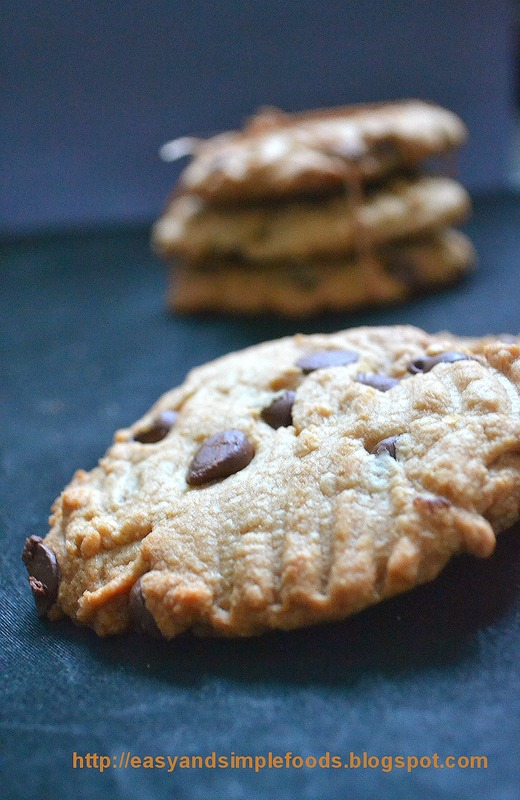 What a cute cookies..Looks absolute delicious :) Lovely guest post dear !! Choco cook yes my daughter fav one. It looks soo good Tanya . Love the Choco bite in each bites. 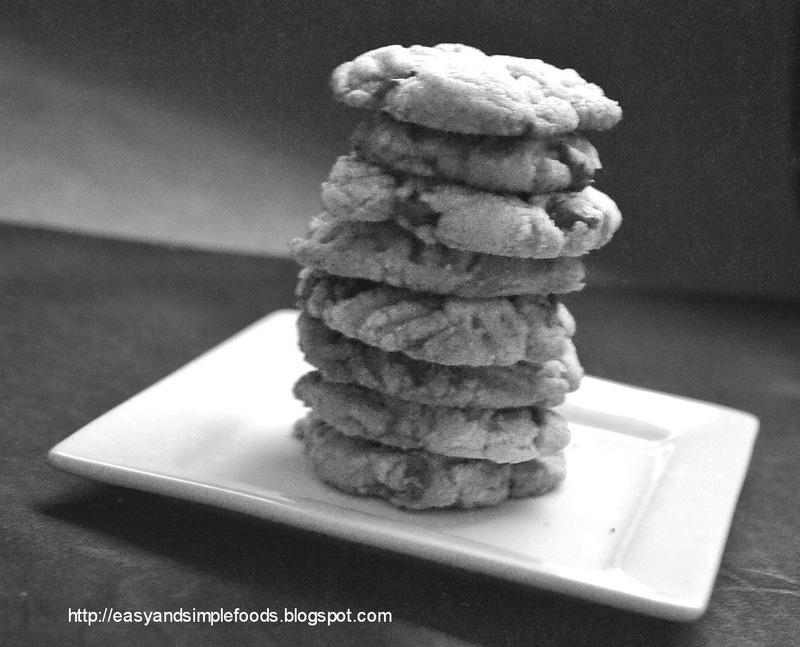 Scrumptious cookies, such a beautiful guest post by Tanya..kudos to both of u. It's all my pleasure! Thank you for writing for me! Yes! And I'm loving it!